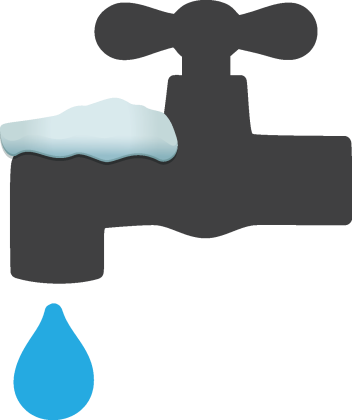 To avoid frozen water pipes, allow heated air to circulate around pipes and meters. Latch basement windows and vents to prevent drafts on pipes. When remodeling, do not locate water pipes against exterior concrete walls. If pipes have been frozen in the past, insulate problem areas, and leave cabinet doors open. If you have any questions, please contact the Public Works Department at 630.377.4405.